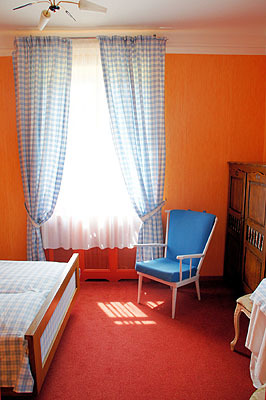 Enjoy a few days in a period house situated in the Alsace region, on the outskirts of a lovely small village. 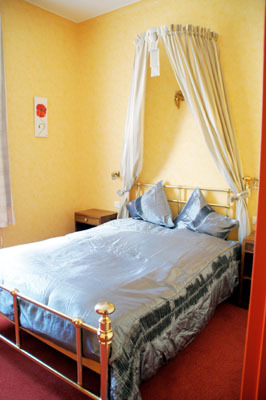 The house offers two apartments, each possessing four comfortable double rooms with en-suite bathrooms. 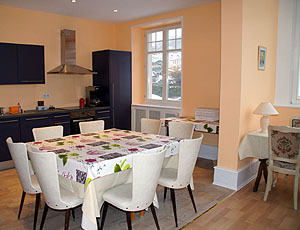 Both apartments have access to its own kitchen, dining and lounge areas where there is alsoTV and Wifi access. Outside the house, guests will find a large garden terrace with free private parking, as well as a locked garage for bicycles and motorbikes upon request. Within the vicinity of the Villa, guests can go cycling, mountain biking, or even taking a stroll through the peaceful forest. Alternatively, you can explore the surrounding area on horse-back with trekking to Gaschney, Schnepfenried, Honneck or on the Petit Ballon, where you have a wonderful panoramic view on the Munster valley. 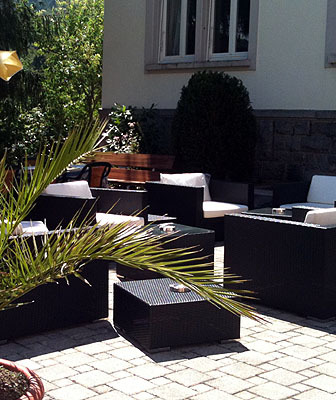 Those seeking more adventure can even try their hand at hot-air ballooning or paragliding whilst for those wanting to take it easy, you always have the possibility of relaxing on the large garden terrace with a good book. 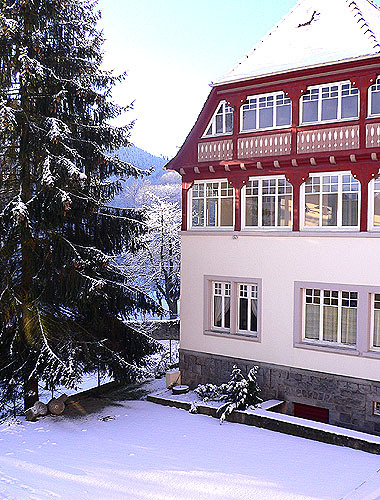 During winter, skiing becomes an option with several slopes and resorts located within driving distance. The nearby town of Munster and Colmar, as well as the villages in the wine making region (“Route des vins”) will allow you to discover the picturesque area and experience the rich Alsacian heritage through farm visits, cheese making and wine tasting. 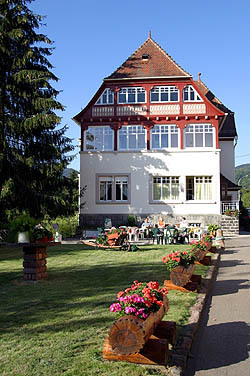 Visitors can find a gourmet restaurant in Muhlbach (offering special dishes of the day and even the possibilty of organizing a half-board and “ferme auberges” (traditional food of the Alsace region). Another option is a indulging at the local backery (opened every day except Wednesdays and Sundays afternoons), where you can top up on freshly baked bread and pastries or even get supplies to prepare a simple meal back at the Villa or on the go. Rent: Weekly rentals from Saturday preferred. 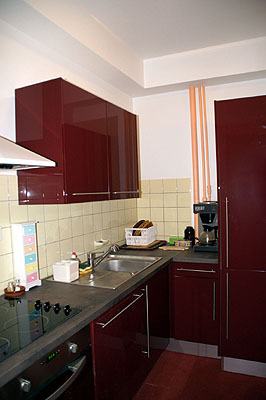 Each apartment can accommodate up to 8 people. 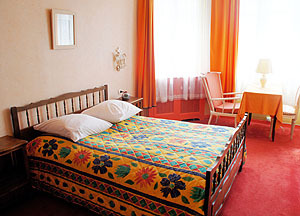 For infants and young children, baby cots or a child sized beds can be arranged upon request. Bed linen and kitchen towels are provided. Please bring your own bath towels. 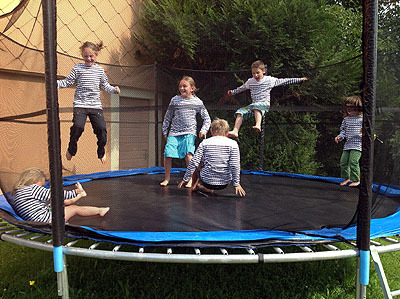 Our prices: from 165 Euros.